Estimated participation figures of almost 30 million worldwide make soccer the most prominent team sport amongst girls and women. However, making a living as a female player is only deemed possible in approximately 20 out of around 150 FIFA-listed women’s soccer countries. This has led to a situation where highly skilled sports women have to migrate from their homelands to find employment with a professional team. Women, Soccer and Transnational Migration represents a substantial contribution to our knowledge on the development of women’s soccer, to research into sports labor migration and sport and globalization more broadly. The book consists of three parts. 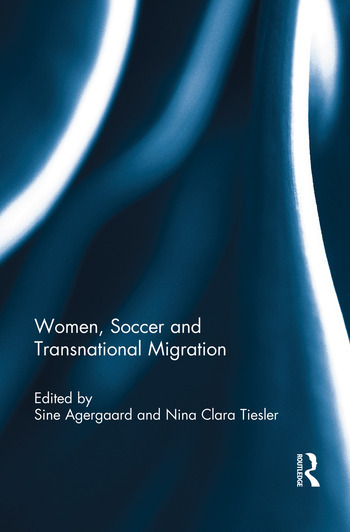 Firstly, it provides an overview and an analysis of migration in women's soccer from its earliest forms until now. It then presents several case studies, delivered by scholars from around the world, illustrating how female players are increasingly being drawn to the USA, Northern Europe and Scandinavia due to their ability to support professional leagues. Finally, all the themes and patterns of these case studies are drawn together to be able to compare and contrast migration in women's soccer to sport migration and globalization more broadly. This study not only makes recommendations for future researchers, but may also serve as an important source of information for those in charge of policy. As such, it is essential reading for students, lecturers, researchers and practitioners involved in sports migration and women's sport. Sine Agergaard is a social anthropologist and an associate professor at Aarhus University, Denmark. Her research on migration issues within sports has been published in a number of articles and books. She is currently the head of a Nordic collaborative research project studying the case of women’s soccer migration. Nina Clara Tiesler is a sociologist, religious studies and migration scholar. She is a senior lecturer at Leibniz University of Hannover, Germany and is an associated research fellow at the University of Lisbon, Portugal. She has coordinated the international study Diasbola and held the Joao Havelange Grant in 2012-13.